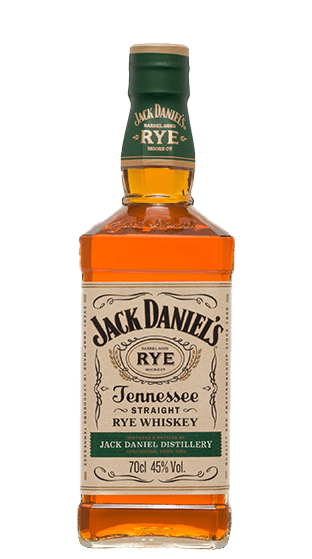 Tasting Note: Introducing rye whiskey made Jack's way. Crafted with our 70-percent rye grain bill, natural spring water from our own Cave Spring Hollow, and Jack's time-honored charcoal mellowing process, Jack Daniel's Tennessee Rye is a whiskey that could only come from Lynchburg, Tennessee. Master Distiller Jeff Arnett and the whiskey makers of the Jack Daniel Distillery have created a unique rye that’s undeniably spicy and complex yet sippin' smooth.